Making homemade food portable and easy to grab for when "On The Go" can be difficult. As much as I want to always provide healthy options for Eliana, it is sometimes easier to just run through a drive through while we are out and about. These Mac and Cheese bites are awesome because they are cooked in mini muffin tins and are therefore the perfect individual sized portions for little hands and easy to pack for a day when we may need to eat lunch on the run. I am not saying that we will never run through a McDonald's, but I try to limit those excursions as much as possible and make them more of a special occasion event. 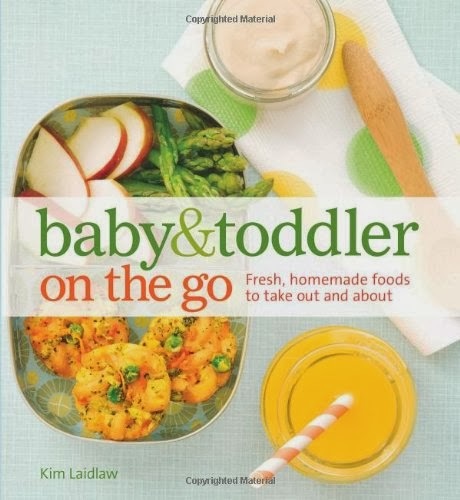 Kim provides several recipes for easily transportable and fun recipes for toddlers. The recipe I am providing below is one of my variations on the Mac and Cheese Bites. 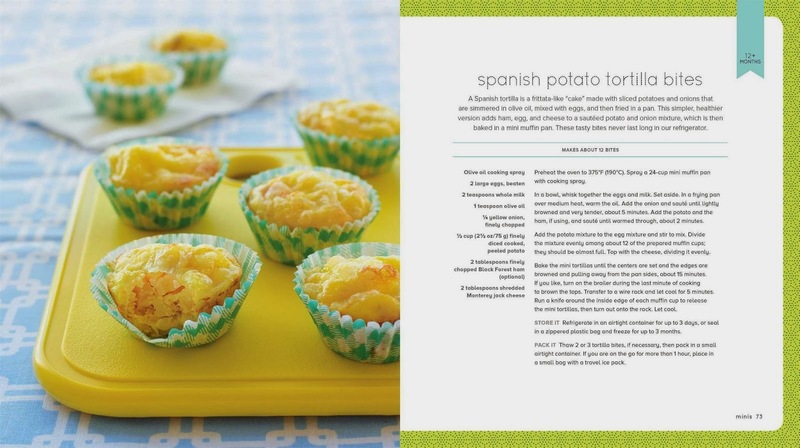 The cookbook contains several others, however they can all be changed to include your household's favorite foods. We had leftover cooked chicken from an earlier meal this week and some spinach in the fridge so our mac and cheese bites are more or less "Clean Out The Fridge Bites". Preheat Oven to 375 degrees F. Cook 1 cup of whole grain pasta to box directions. Strain and set aside. Melt the butter over medium heat. Add flour and stir constantly. As soon as a paste is formed add milk. Continue to stir until the milk is fully incorporated. Add the grated cheeses. Stir until cheese has melted. Stir in "mix-ins" (for us it was spinach and cooked chicken). Remove from heat and stir in the 2 eggs. Spoon mixture into mini muffin tins. The recipe in cookbook says to cook for about 10 minutes. I had my oven on convection mode and it took about 18 minutes for the edges to be golden brown. Remove from oven and let cool. Put some of the mac and cheese bites aside or in the refrigerator to eat in the next day or two. Freeze the rest: I used the same cookie sheet technique that I use for freezing cookie dough balls. Thaw the frozen mac and cheese bites a day before you plan to pack them by placing them in the refrigerator.